This was a brilliant read - I whipped through it at a lightning pace and was reading long after I should have been tucked up sound asleep in bed. The two main characters were well written and instantly likeable - Mia with her naturally caring demeanour and Gemma with her hard outer shell giving the illusion that she's more grown up than she really feels. Both Mia's and Gemma's stories, despite their similarities, were interesting in their own right, so I was doubly hooked. Both had an odd relationship with their father - Mia never called hers Dad, but called him by his forename, Lorcan, and Gemma's Dad treats her like a confidante rather than a daughter, putting huge responsibility on her young shoulders. I loved the flashbacks to Mia's past - showing that she was and still is a little bit broken. The therapy sessions with Gemma made her think of the relationship she had with her own father. It was really fascinating to learn of Mia's past and unearth the secrets that she had buried for such a long time. Gemma is a survivor and so cunning that you never quite know what she's thinking. One minute she's warming to Mia and the next she is playing with Mia's mind by digging into Mia's past. Obviously her loyalty is to her father and she will do anything to keep him safe, but at what cost? 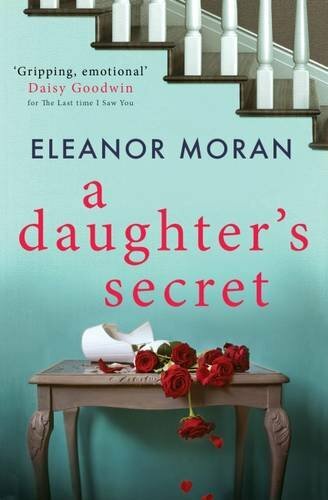 The underlying story is the one of the criminal investigation but this plays a bit of a back seat as the father/daughter relationships unfold. It was absolutely compulsive reading, and I really enjoyed the emphasis being more psychological than thriller. I look forward to reading more from Eleanor Moran. I received this e-book from the publisher, Simon & Schuster, via NetGalley in exchange for an honest review.